528 Edgecrest Cir, Homewood, AL.| MLS# 845678 | Richard Jacks UABLIVING.com 205-910-2297 | Birmingham AL Real Estate | Contact us to request more information about our Homes for Sale in the Birmingham AL area. 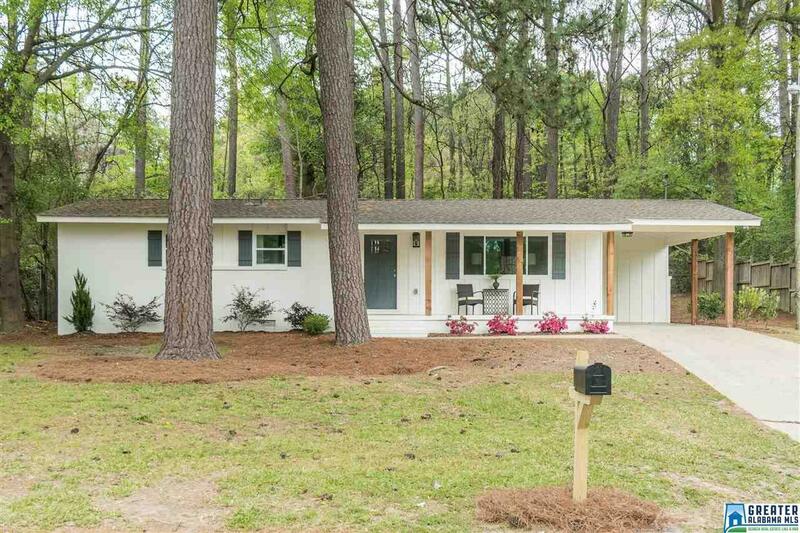 Completely Remodeled Home in the Heart of West Homewood! Fabulous open floor plan with wonderful natural light, 3 bedrooms, 2 bathrooms and EVERYTHING redone; Roof, Windows, Kitchen, Bathrooms & MORE! You&apos;ll LOVE the attention to detail with beautiful hardwood floors throughout, white shaker cabinets, recessed lighting, quartz countertops, stainless appliances, large walk in shower in master bath & spacious laundry room. This well loved home belonged to the same family for over 50 years and is now ready for a new owner. Walk to AWARD WINNING Hall-Kent Elementary, Patriot Park, New Pool, Pizzeria GM, ASH, West Homewood Farmer&apos;s Market, Seed&apos;s Coffee, Magic City Sweet Ice & everything that makes West Homewood the desired placed to be! Driving Directions: Oxmoor Road Heading West - Take 1st Right Past Pizzeria Gm On Edgecrest Drive - Bear Right & Follow To Edgecrest Circle - Home Is On The Right.